Disastrous hurricane force winds hit southern Florida recently, including the West Palm Beach area. The sustainable wind often leads to flooding and severe home water damage. When your home suffers the effects of hurricanes, Florida property damage attorneys can help you with your insurance claims. Strong winds cause widespread damage to roofs, and structures themselves. In September 2017, for example, the deadly, powerful, West Palm Beach personal injury attorneys and destructive 150 mph winds from Hurricane Irma destroyed or caused significant damage to thousands of Florida houses. Hurricanes destroy lives, vehicles, and real estate property. Now that the storm has passed, it is time to turn to the law office of Smith & Vanture, a team of highly-qualified and experienced West Palm Beach property damage attorneys to help you with insurance property claims. You should seek the guidance of committed legal counsel to avoid any pitfalls in the property damage insurance claims and settlement process. • Destruction of house structures, such as the garage, swimming pools, or decks. • Damage to furniture, appliances and other personal property. • Damage to cars, downed trees, and compound landscape. Smith & Vanture provides skilled legal representation to property owners during various property insurance claims. 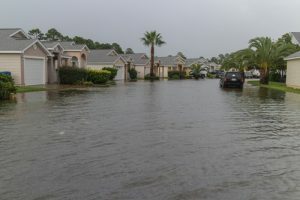 Florida property damage attorneys will ably handle your initial claims filing, the valuation adjuster hearings, claims decision stage and jury trials, when necessary. • Documenting the damages and proving your losses to the insurer. • Ensuring that claims adjusters do not reduce financial estimates for emergency or permanent repairs unfairly. • Expediting the settlement process. • Protect you against the insurer forcing their contractors on you. If you suffer property damage or the insurer denies your claims, call West Palm Beach property damage attorneys for help to claim funds to rebuild your property and life on Call their toll-free number (800) 443-4529 now.